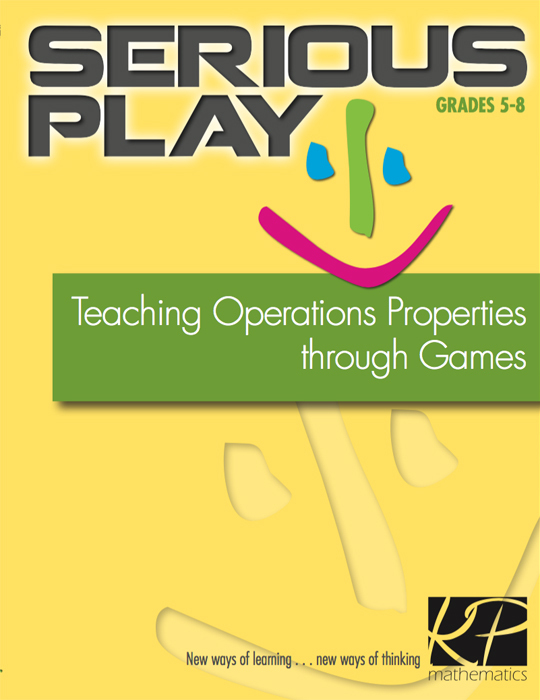 Serious Play games bring the fun and excitement of game play to the important study of operations properties, the principles that govern addition, subtraction, multiplication, and division. 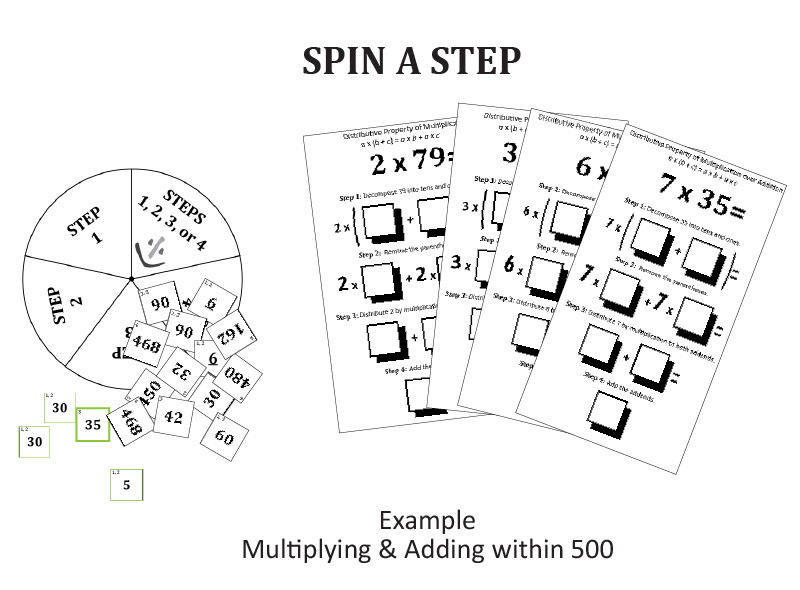 Each game has number-set versions for optimum use with students of varying ability levels. 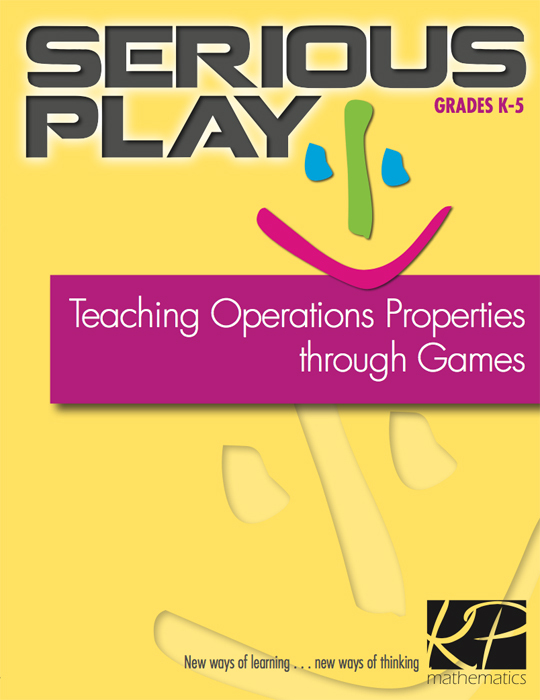 Serious Play books are available in two grade-level versions: K-5 and 5-8. 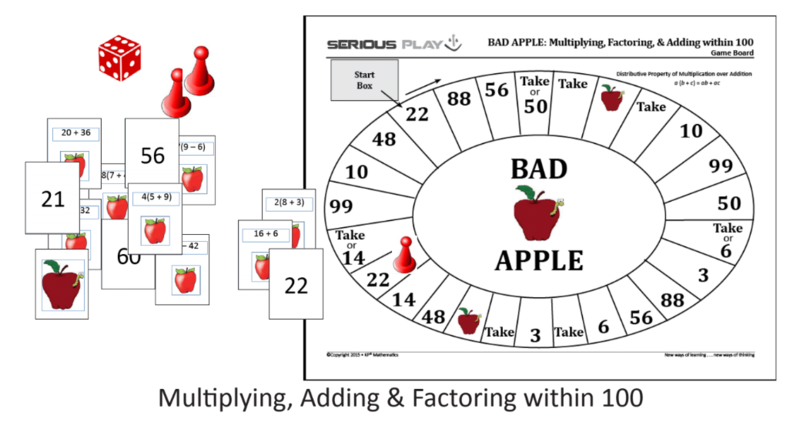 Levels vary according to game content. 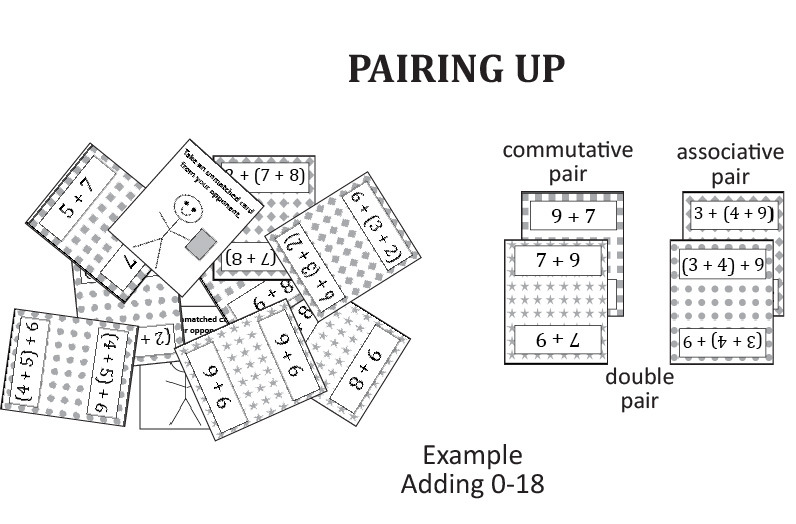 Addition properties (commutative & associative) are the focus in games involving number sets 0-10, 0-18, 0-100, beyond 100, fractions, integers, and rational numbers. 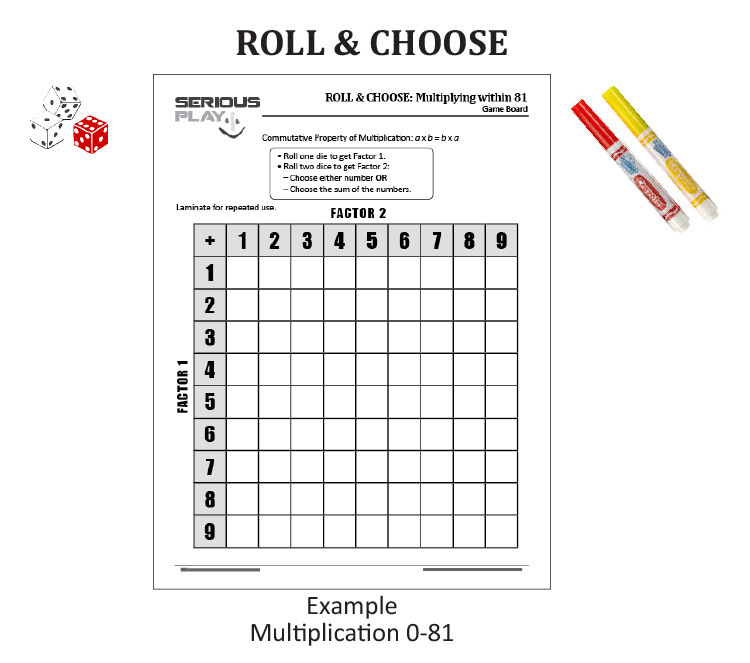 Multiplication properties (commutative & associative) are the focus in games involving number sets 0-18, 0-81, fractions, integers, and rational numbers. 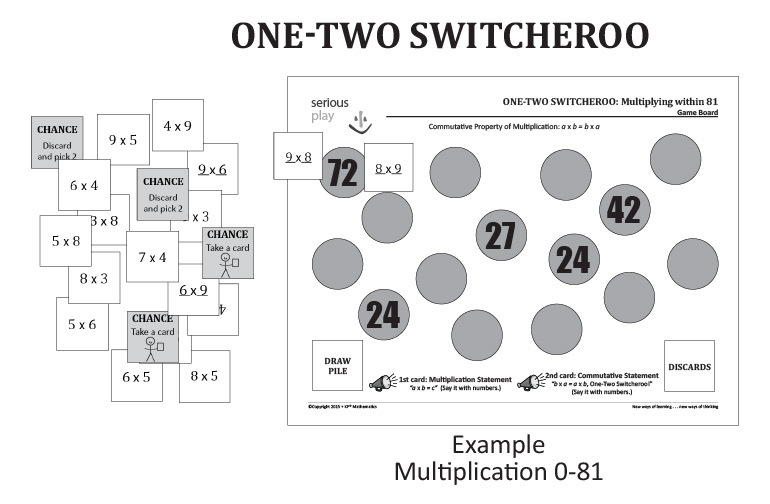 The distributive property is the focus games involving number sets 0-81, 0-100, 0-500, 0-5000, fractions, integers, and rational numbers. 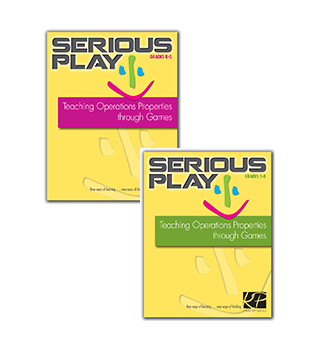 Serious Play Games . 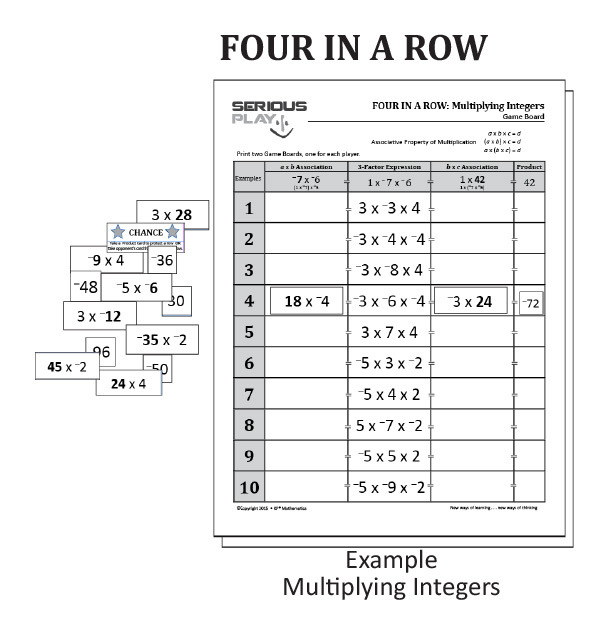 . .
focus on concepts central to arithmetic and algebra. 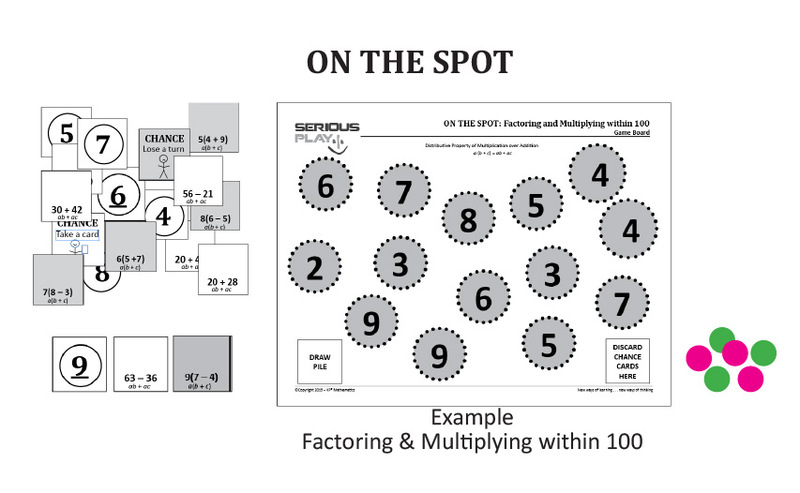 incorporate the “fun factors” of chance and strategy. 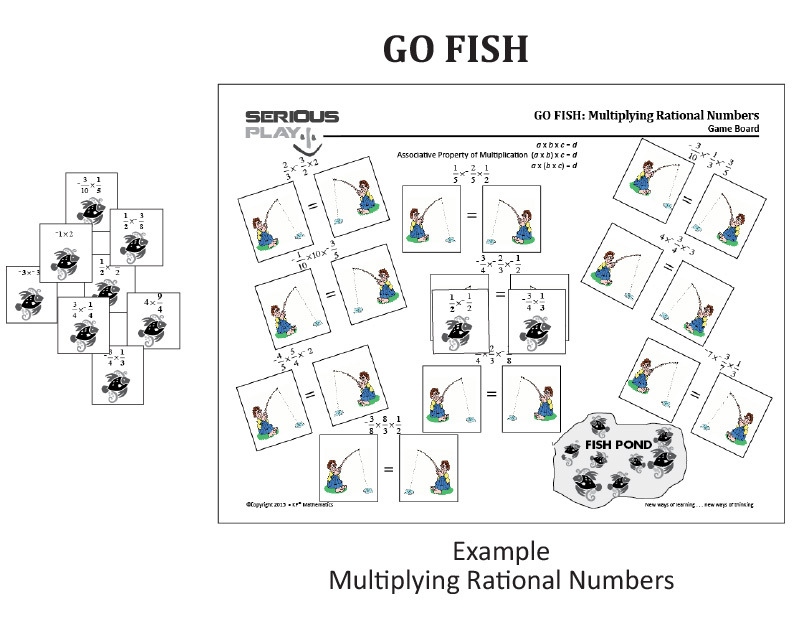 promote abstract and quantitative reasoning. 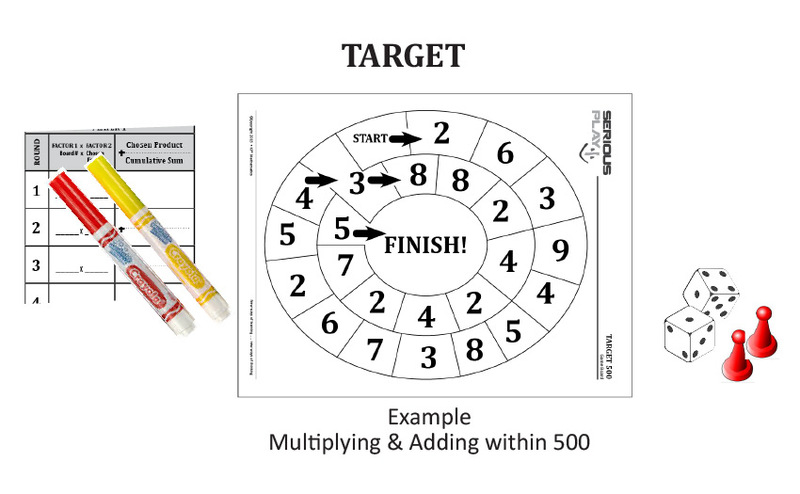 include versions for a range of content knowledge and skill levels. 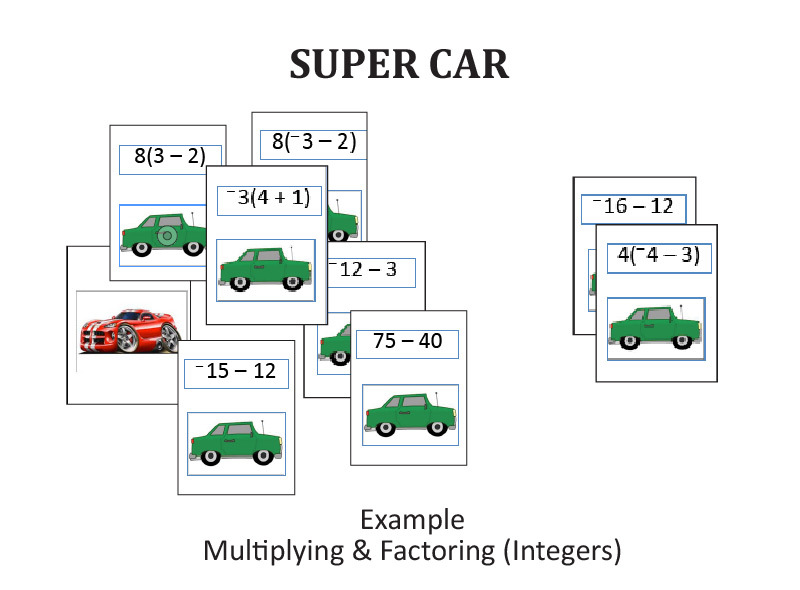 prompts reflective thought about properties. 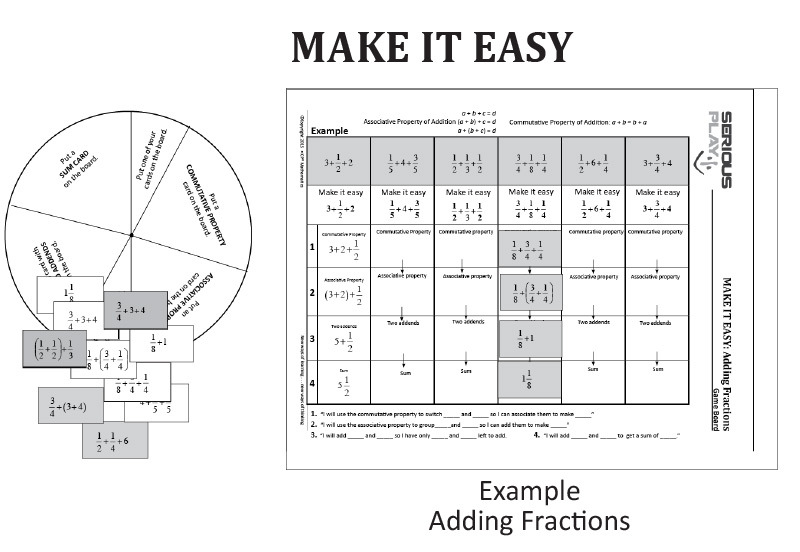 support, reinforce, and enhance classroom learning.